Dr Isao Ichige has donated a beautiful set of books, Nihon Bijutsu Zenshu (Japanese art: the complete works) – essentially a history of Japanese culture – to Stirling University. This valuable set of books contains a comprehensive list of Japanese art objects in full colour and with detailed information for each item from throughout Japan’s long history. Dr Ichige taught Japanese History and Archeology at Waseda University and its affiliated high school until his retirement in 2008. He is well-known in Japan for his NHK programmes (Japan’s equivalent to the BBC) about archeology and introducing his various discoveries at pre-historical excavations and sites across Japan. 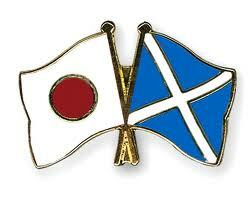 Dr Ichige is a member of the Japan Scotland Association and life-long friend of its president, Dr Taeko Seki. He decided to donate the books when he learned about “Japan Week” at the University of Stirling. The books are on display outside the Archives Reading Room in the Library.